Given their superstar status, it’s easy forget that major celebrities often have unique and fascinating personal lives outside of the high-profile roles and accomplishments they’re most frequently known for. It’s the things we never hear about, however, that tend to be most interesting. Did you know, for example, that plenty of celebs have lived secret lives as quasi-scientists and brainiacs while following their geeky passions alongside their other careers? Here’s a look at five celebrities who have a surprising love for science in its many shapes and forms. Having played many different roles across his lengthy film career, it’s no surprise to find “astronaut” among actor Tom Hanks’ top character list. 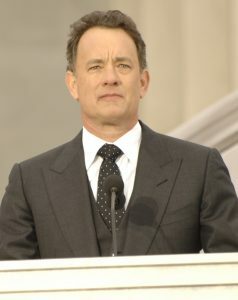 It turns out, though, that Hanks has always been a huge space enthusiast, and his advocacy for space exploration and research has extended far beyond the big screen. He has served on the National Space Society board, won the Space Foundation’s public outreach award, and has even gone before Congress to lobby on behalf of NASA funding for continued space exploration. Landing a major role as Queen Amidala in the Star Wars prequels may have been a source of serious geek cred, but Oscar-winning actress Natalie Portman’s interest in science stands on its own. In high school, she was a semi-finalist in the prestigious Intel Science Talent Search. Alongside her acting career, Portman also went on to earn a bachelor’s degree in psychology from Harvard and has had several scientific studies published under her given name. Physics rocks! Well, at least if you’re Brian May. Known for melting faces and titillating eardrums with his killer shredding licks, this guitarist and founding member of the rock band Queen has fostered a lifelong passion for astrophysics. 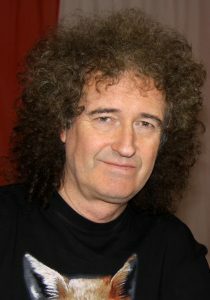 May put his studies on hiatus for nearly 30 years to live the rock and roll life, but he eventually earned a degree in astrophysics in 2008 and has spent the time since digging deep into the mysteries of space. He even has an asteroid named after him. 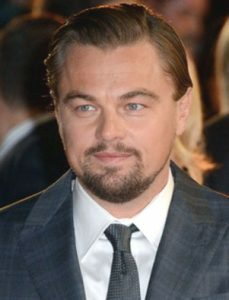 If you look beyond his numerous blockbuster film appearances, you might have picked up on the fact Leonardo DiCaprio has slowly grown into a tour-de-force on the topic of global conservation and climate change. From making speeches in front of the UN to forming his own foundation for nature conservation, DiCaprio has made environmental activism and the study of our climate his personal quest to understand and help our changing world. 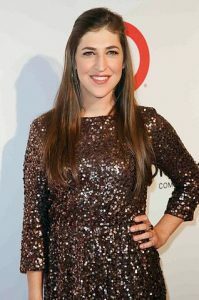 Mayim Bialik doesn’t just play a neuroscientist on popular geeky TV show The Big Bang Theory; she’s actually a neuroscientist in real life, too. Coming a long way from her role as the star of 90s sitcom Blossom, Bialik has a UCLA doctorate in neuroscience alongside her numerous awards. When she’s not making folks laugh, she’s busy educating kids about the magic of science. You don’t have to be a celebrity to be into science! Apply for one of our science jobs today.